If you're one of the loyal Oscar fans, you'll know why you should be keeping an eye out for director Barry Jenkin's Moonlight. The film currently holds a 99% on critics aggregate website Rotten Tomatoes and has been slowly hyped up as one of the first films to warrant Oscar buzz during this Fall season. 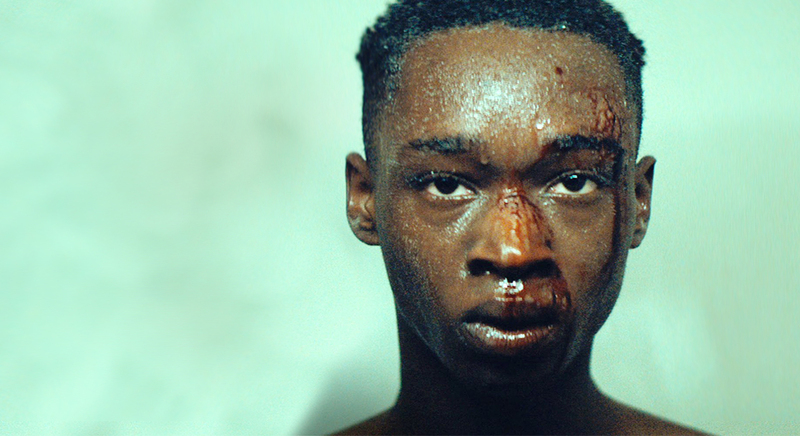 While other films based around black culture (The Birth of a Nation) seemed to come and go without much notice, Moonlight will at least be around for a short while thanks to its impressive feat. After opening this past weekend, it is currently the highest box office debut on a per screen average not only for the week or month, but for 2016 in general. It may be difficult to notice much traction in the Top 10 when it comes to Oscar movies. Director Tyler Perry's Boo! A Madea Halloween currently sits atop the box office with action thriller Jack Reacher: Never Go Back and horror sequel Ouija 2: Origin of Evil falling not too far behind. It's business as usual for Hollywood at the top of the field. If one really wanted to see the big stories though, you'd have to not think of revenue in the millions, but closer to the thousands. Speaking as A24 is one of the defining forces in modern independent cinema, Moonlight's success isn't surprising. After all, several of their films earned Oscars during this past season. What's more the case is that it has a reputable box office honor that may give it some legitimacy going forward. Like most independent films, Moonlight started off small on four screens. Over the weekend, it brought in $402,075 total. While that may not seem high, one has to consider the impressive achievement that comes with the territory. This total meant that each of the four screens brought in $100,519. That makes it the highest per screen average of 2016 and one of the Top 25 per screen averages in history. The previous record holder for the year was the improv comedy film Don't Think Twice, whose single screen debut brought in $92,835. That's not that bad of a feat, considering that Boo! A Madea Halloween's opened on 2,260 screens and averaged $12,212, which is almost nine times less than Moonlight's average. The one surprising note is that eight of these titles are from Disney or Pixar. Considering that each studio is known for gargantuan hits (some are even on this list), it is weird to even suggest that their films would open in such small ways. Even then, it makes sense why audiences would flock to theaters to see them. Likewise, Red State and The Grand Budapest Hotel are both films released by directors with cult followings, the latter of whom also showed up at number 14 on this list with Moonrise Kingdom. Other Oscar-nominated films in the Top 25 (non-Disney or Pixar) include American Sniper, The Master, Steve Jobs, Dreamgirls, American Hustle, Anastasia, The Imitation Game, The Revenant, Brokeback Mountain, Birdman, Precious, Blue Jasmine, and Inside Llewyn Davis. Moonlight falls just below the last name on this list. Whatever the case may be, Moonlight has already made some history. It's especially impressive given the subject matter of a black man discovering his personal identity through a decades-long story that involves LGBT-related themes. Even then, it proves that audiences will come out if the subject is right. There may be complaints that cinema is dead or that it's not what it used to be, but that's only if you let Tyler Perry sequels define your idea of cinema. Look beyond the top 10 and notice the wonders that are out there. Still, this will hopefully mean that Moonlight will be expanding sooner than later and the true Oscar talk can begin.